Walk past Belfast’s Titanic Quarter and look left towards the loading docks of the harbour bordering the River Lagan and you’ll see a number of ships unloading coal. Nothing unusual, except that the usage of this age-old, but now unfashionable, fossil fuel is fast becoming uneconomical in the US courtesy of the country’s shale bonanza. So some of it is landing up on European shores and on harbours such as Belfast’s. The coal [pictured above left] is heading to AES's Kilroot Power Station, according to a local harbour official. Recent investments in deep-water facilities by Belfast Harbour have enabled it to handle coal imports in increasing numbers. But for how long one wonders, as the province’s own oil & gas boom and a mini shale gas bonanza might be on the cards. Being in Northern Ireland for the G8 2013 Summit, gave the Oilholic a pretext to examine local 'crude' moves on an up close and personal basis. Perhaps unsurprisingly, this blogger found that hydrocarbon prospection in this part of the world has its own set of promoters and worriers, akin to any other jurisdiction. So what’s the story so far? Dublin-based Providence Resources is here, a firm that has already demonstrated the true of luck of the Irish by making a convincing case for oil & gas prospection in the Republic of Ireland. The company reckons, and with good reason, that there may be 500 million to 530 million barrels of oil under Rathlin Sound, off the north Antrim coast. A spokesperson for the company told the Oilholic that it intends to drill an exploration well in 2014 to examine the site which it calls the Polaris Prospect. It has been eyeing the area - of roughly around 31 square kilometres - since last year. Surveys carried by Providence Resources under an exploration licence found "encouraging results." The Rathlin Basin has always been considered prospective due to the presence of a rich oil prone source rock. However, the company adds that poor seismic imaging has historically rendered it difficult to determine the basin's "true hydrocarbon entrapment potential." 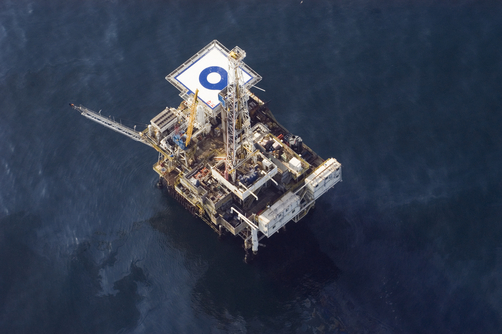 Nonetheless, subject to regulatory approval, Providence Resources will embark on a drilling programme in 2014. Additionally, Northern Ireland could have its own shale bonanza too. The village of Belcoo, near the border with the South, has plans for fracking. One has to be careful when speaking in a plural sense, as not everyone is in favour, with many having serious misgivings about shale exploration and its potential impact on the regional environment and the water table. However, armed with the words – “Shale gas is part of the future and we will make it happen” – from UK Chancellor George Osborne’s 2013 budget speech, independent upstart Tamboran is banking on shale in Belcoo. Furthermore, the Treasury will give it a tax allowance for developing gas fields, and, for the next 10 years, leeway to offset its exploration spending against tax. Tamboran and Providence Resources are not alone in making crude forays in Northern Ireland. Brigantes Energy, Cairn Energy, Infrastrata, Rathlin Energy and Terrain Energy are here too, armed with prospection licences granted by the regional Department of Enterprise, Trade and Investment (DETI) under the Petroleum Production Act of Northern Ireland of 1964. For the moment there is room for cautious optimism and nothing more. You can bet on thing for sure, if the current shale and oil & gas exploration yields results then Belfast Harbour would see much less imported coal. That’s all from a memorable and wonderful visit to Northern Ireland folks! Keep reading, keep it ‘crude’! © Gaurav Sharma 2013. Photo: Coal being unloaded on Belfast Harbour, Northern Ireland, UK © Gaurav Sharma, June 2013. As the G8 circus prepares to leave town, with the Lough Erne Declaration firmly signed, it is time to reflect on the town and the folks who played host to the leaders of the eight leading industrialised nations. Wherever this blogger went, asked for directions, picked-up something in a shop, had a meal or a beer, you name it – he was greeted by helpful people with welcoming smiles. The leaders’ motorcades were met with much gusto, especially by local school children “Welcoming the G8” even when there wasn’t a leader inside the cars zipping by! Bless them! On Monday, the townsfolk got a pleasant surprise to see President Barack Obama and Prime Minister David Cameron waving to them from a vehicle in the same motorcade. Later, the two leaders also visited Enniskillen Integrated Primary School, attended by both Catholic and Protestant children, on the outskirts of Enniskillen. 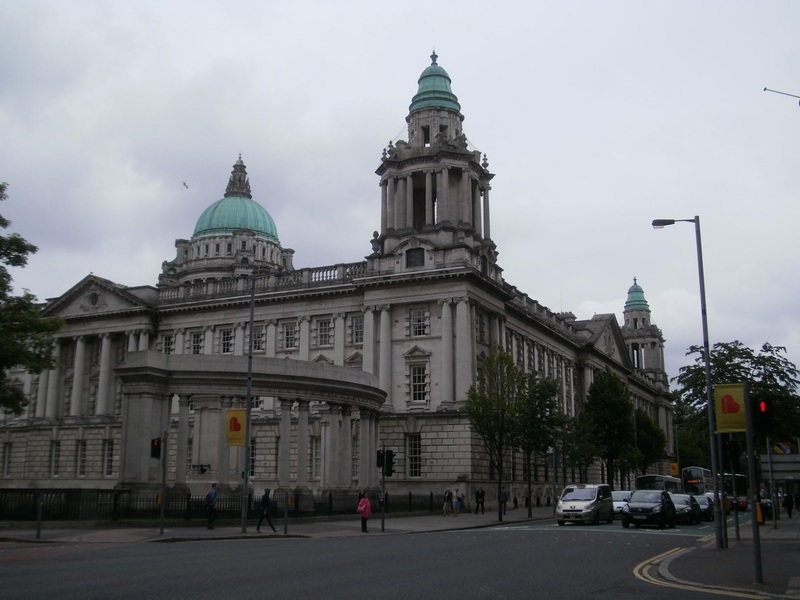 It was established, as a place of reconciliation and peace, in wake of the 1987 IRA Poppy Day bombing which resulted in 12 local fatalities. The bomb may have killed and maimed but didn’t break the community here, says one resident. The town itself got a complete makeover with every building spruced-up, primed and painted, according to locals and as is apparent. 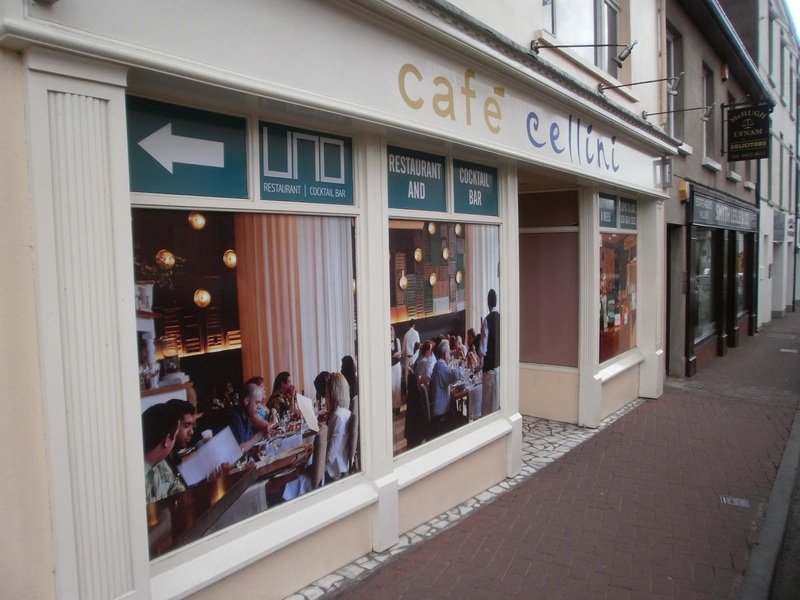 However, like any other High Street in the British Isles, Enniskillen is no exception from the economic downturn, with retailers either going under or vacating premises. Yet, instead of boarding these shops up, their glass panes had a façade of wallpaper showing people and products inside, perhaps to convey a positive illusion for cars zipping past. The protestors were here in numbers too, and in spirit as far away as Belfast and London. Everyone from anti-poverty campaigners to food scarcity examiners, from rights and environmental groups to fair trade advocates were here in numbers. 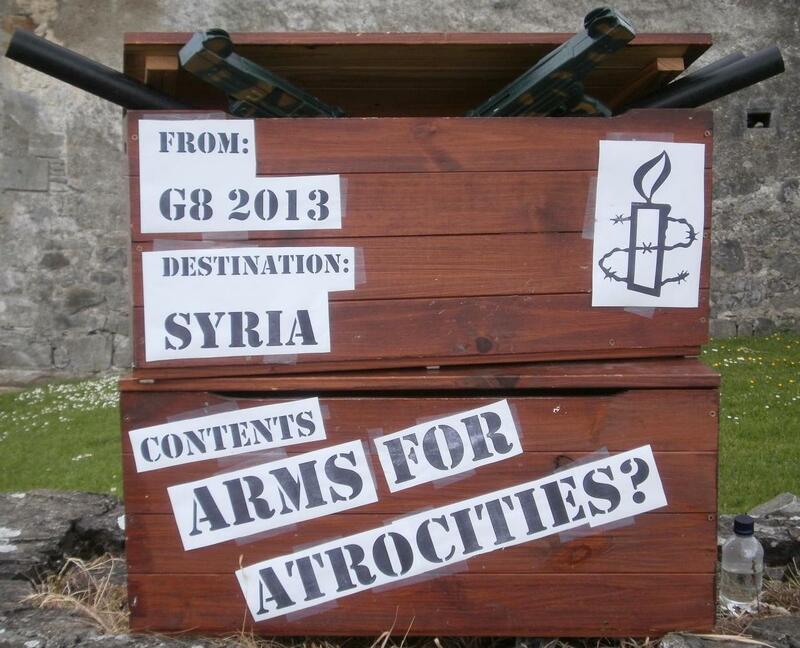 Amnesty International’s protest ‘display’ on the arms-supplying shenanigans by G8 nations was the most eye-catching one for the Oilholic. There is one mute point though. It seems the militant element largely stayed away and most of the protesters, barring few nutcases, engaged and sent their message out peacefully. 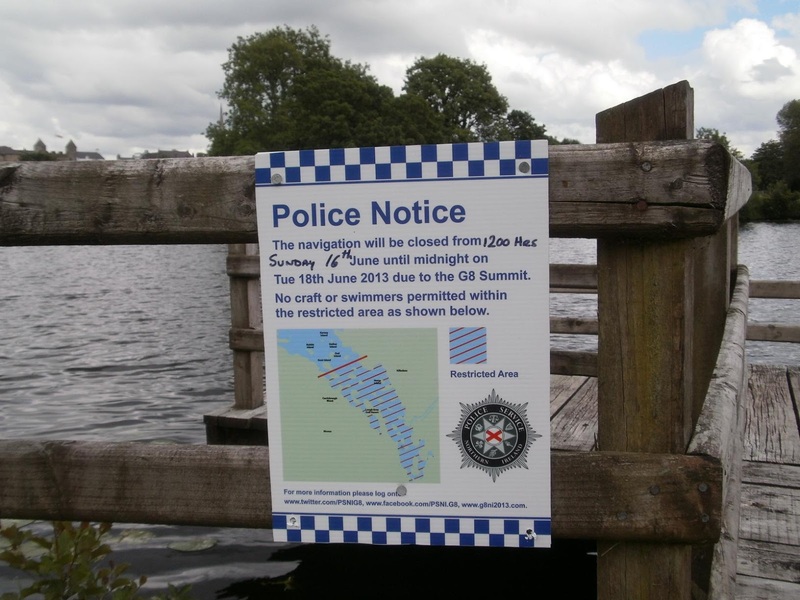 That the Lough Erne Resort is surrounded by water supplemented by miles of metal fences, multiple security checkpoints and around 8,000 security personnel, certainly ensured the G8 2013 Summit saw far fewer protestors relative to the norm in recent years. 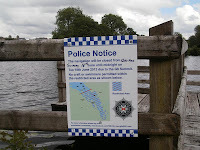 Swimming, sailing, paddling and canoeing in the waters around Lough Erne Resort were banned for the duration of the summit, but not fishing! 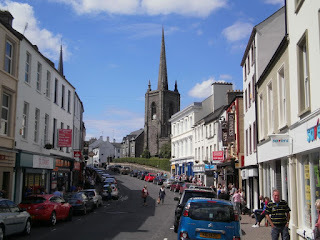 That’s all from Enniskillen folks which is getting back to normalcy. Before his departure back to London via Belfast, the Oilholic leaves you with some views from the G8 summit through the lens of his non-professional but supremely effective automatic camera. Click on images(s) to enlarge. Keep reading, keep it ‘crude’! © Gaurav Sharma 2013. Photos: As captioned, images from the G8 2013 summit in Northern Ireland © Gaurav Sharma, June 16-19, 2013. 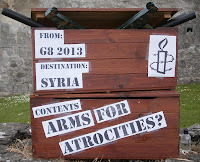 As predicted, Russia and the West's differing positions for and against supporting the Assad regime in Syria threatened to overshadow everything else at the G8 Summit here in Lough Erne Resort, Enniskillen, Northern Ireland but mercifully didn’t. The leaders of the group of eight leading industrialised nations, meant to promote trade and dialogue at this forum, did make some progress and provided lots of hot air…er sorry…soundbites. The outcome of talks was grandiosely dubbed the 'The Lough Erne Declaration'. But before that, the European Union and the US finally agreed to 'start talks' on a new trade pact while not losing sight (or to the detriment) of ongoing negotiations with Canada. The trade talks had been under threat from a potential French veto, but EU ministers agreed to their demand "or exclusion of the film and television industry from the talks". On to crude notes, the leaders thankfully did not indulge in silly talk of doing something to 'bring down the price of oil' (and leave it to market forces) just because the Brent contract is at US$100-plus levels. There were also no wide-ranging discussions about price levels of crude benchmarks, apart from individual non-Russian grumbling that they should be lower. More importantly, the G8 thinks the state of their respective economies would hopefully act as a correcting mechanism on prices in any case. The leaders agreed that global economic prospects "remain weak". Ironically, just as US Federal Reserve Chairman Ben Bernanke was issuing soundings stateside about easing-up on quantitative easing, they noted that downside risks have reduced thanks in part to "significant policy actions taken in the US, euro area and Japan, and to the resilience of major developing and emerging market economies". The leaders said most financial markets had seen marked gains as a result. "However, this optimism is yet to be translated fully into broader improvements in economic activity and employment in most advanced economies. In fact, prospects for growth in some regions have weakened since the Camp David summit." You bet they have! The Lough Erne declaration had one very significant facet with implications for the oil and gas industry along with mining. The G8 leaders said developing countries should have corporate identification data and the capacity to collect the taxes owed to them and other countries had "a duty to help them". The move specifically targets extractive industries. It follows revelations that many mining companies use complex ownership structures in the Netherlands and Switzerland to avoid paying taxes on the natural resources they extract in developing countries. Hence, the G8 agreed that mining companies should disclose all the payments they make, and that "minerals should not be plundered from conflict zones". Speaking after the declaration was signed, UK Prime Minister David Cameron said, "We agreed that oil, gas and mining companies should report what they pay to governments, and that governments should publish what they receive, so that natural resources are a blessing and not a curse." Good luck with that Sir! And that dear reader is that! 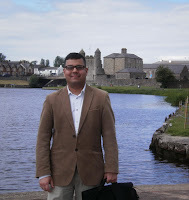 Here are the links to this blogger's reports for CFO World on tax, trade, economy and US President Barack Obama’s soundbites (to students in Belfast), should they interest you. Also on a lighter note, here is a report from The Sun about Obama's idiotic gaffe of calling UK Chancellor of the Exchequer George Osborne – "Jeffery" Osborne on more than one occasion and his bizarre explanation for it. So the leaders' motorcades have left, the ministerial delegations are out and the police – who did a great job – are packing it in. Out of the eight leaders and EU officials in Lough Erne, the Oilholic felt Canadian PM Stephen Harper looked the most relaxed while German Chancellor Angela Merkel looked least cranky among her European peers. Guess they would be, as both economies are the only ones in the G8 still rated as AAA by all three ratings agencies. That's all from Enniskillen folks! 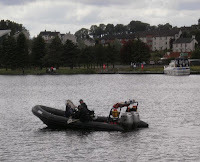 Should you wish to read the so called Lough Erne Declaration in full, it can be downloaded here. 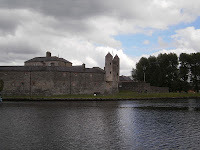 Despite the pressures of reporting, the buzz of a G8 Summit and the hectic schedule, yours truly could not have left without visiting Enniskillen Castle (above right) in this lovely town full of welcoming, helpful people with big smiles. 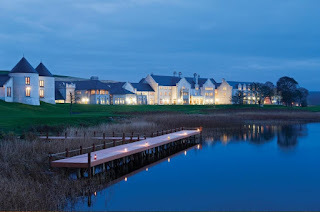 The location's serenity is a marked contrast from the Russians versus West goings-on at Lough Erne. It's a contrasting memory worth holding on to. And on Syria, both sides agreed to disagree, but expressed the urgency to hold a 'peace summit.' Sigh! Not another summit? Keep reading, keep it 'crude'! © Gaurav Sharma 2013. 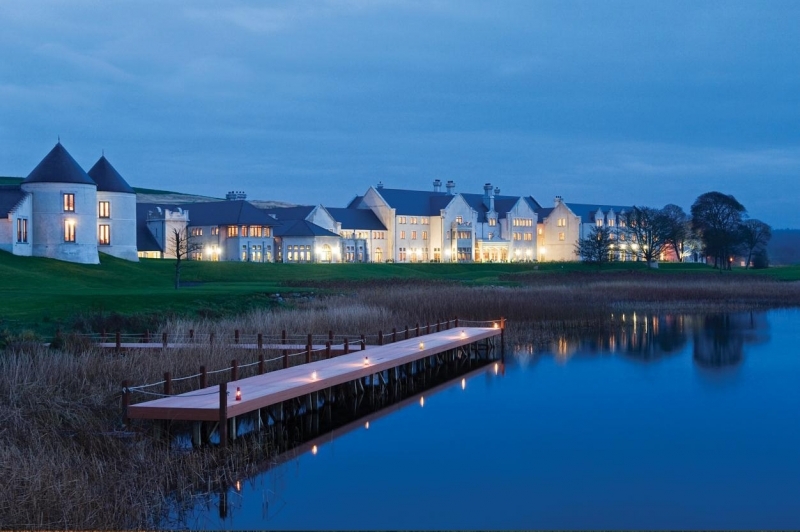 Photo 1: Lough Erne Resort, Enniskillen, Northern Ireland © Invest NI. Photo 2: Enniskillen Castle, Northern Ireland © Gaurav Sharma, June 18, 2013. 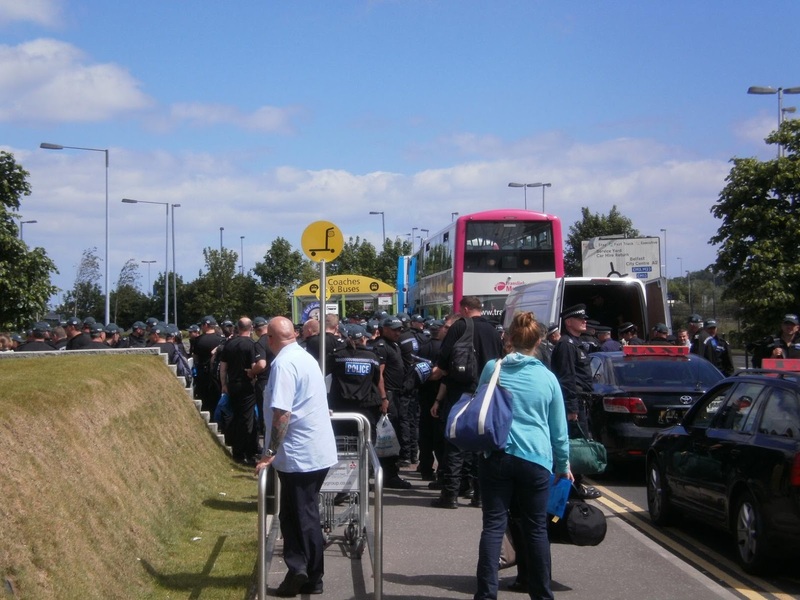 There is a certain measure of positive symbolism in being here in Northern Ireland for the 2013 G8 summit. Who would have imagined when the Good Friday agreement was signed in 1998, that 15 years later the then sectarian strife-torn province would host the leaders of the eight leading industrialised nations for their annual shindig? That point was not lost on US President Barack Obama, among the few who didn’t express apprehensions, when UK PM David Cameron announced the venue for the summit last year. Cameron wanted to send a message out to the world that Northern Ireland was open for business and based on what yours truly has seen and heard so far, that's certainly a view many share. Addressing an audience of students in Belfast, Obama said, "Few years ago holding a summit of world leaders in Northern Ireland would have been unthinkable. That we are here today shows the progress made in the path to peace and prosperity [since 1998]." "If you continue your courageous path towards permanent peace, and all the social and economic benefits that come with it, that won't just be good for you. It will be good for this entire island, for the United Kingdom, for Europe; and it will be good for the world," he added. Here we all are in Belfast heading to a quaint old town called Enniskillen. Of course, the Oilholic won’t be making his way there in a style befitting a president, a prime minister or a gazillion TV anchors who have descended on Northern Ireland, but get there - he most certainly will - to examine the 'cruder' side of things. It has barely been a year since the G8 minus Russia (of course) griped about rising oil prices and called on oil producing nations to up their production. "We encourage oil producing countries to increase their output to meet demand. We stand ready to call upon the International Energy Agency (IEA) to take appropriate action to ensure that the market is fully and timely supplied," the G7 said in a statement last August. Of course since then, we’ve had the US 'Shale Gale', dissensions at OPEC and rising consumption of India and China according to the latest data. The smart money would be on the G7 component of the G8 not talking about anything crude, unless you include the geopolitical complications being caused by Syria, which to a certain extent is overshadowing a largely economic summit. That wont be a shame because its not for politicians to fiddle with market mechanisms. Nonetheless, the Brent forward month futures touched a 10-week high close to US$107 a barrel on Monday before retreating. Despite a lull, if not a downturn, in OECD economic activity, the benchmark remains in three figures. Syria's impact on oil markets is negligible, but a prolonged civil war there could affect other countries in the Middle East, worse still drag a few oil producers in. Yet a stalemate between Russian President Vladimir Putin and the West has already become apparent here at the G8. There will, as expected, be no agreement on Syria with the Russians supporting the Assad regime and the West warily fretting over whether or not to supply the Syrian rebels with arms. Away from geopolitics and the G8, in an investment note to clients, analysts at investment bank Morgan Stanley said the spread between WTI and Brent crude will likely widen in the second half of 2013, with a Gulf Coast "oversupply driving the differential". The Brent forward month futures contract for August spiked above US$106 per barrel in intraday trading on Friday at one point. Most analysts cited an escalation of the Syrian situation and the possibility of it morphing into a wider regional conflict as a reason for the 1%-plus spike. The trigger was Obama administration’s reluctant acknowledgement the previous evening of usage of chemical weapons in Syria. The Oilholic’s feedback suggests that more Europe-based supply-side market analysts regard a proactive US involvement in the Syrian muddle as a geopolitical game-changer than their American counterparts. There is already talk of Syria become as US-Russia proxy war. Add to that Israel’s nervousness about securing its border, jumpiness in Jordon and behind the scenes manipulation of the Assad regime and Syria by Iran. In an investment note, analysts at Barclays have forecasted Brent to climb back to the Nelson figure of 111. Yet a deeper examination of what the bank’s analysts are saying would tell you that their take is not a reactive response to Syria. In fact, Barclays cites supply constriction between OPEC members as a causative agent, specifically mentioning on-going problems in Nigeria, Libya and shipment concerns in Iraq. For what its worth, and appalling as it might well be, Syria's conflict is only being priced in by traders in passing in anticipation of a wider regional geopolitical explosion, which or may not happen. Away from OPEC and Syria, the Sudan-South Sudan dispute reared its ugly head again this week. A BBC World Service report on Thursday said Sudan had alleged that rebels based in South Sudan attacked an oil pipeline and Diffra oilfield in the disputed Abyei region. The charge was denied by South Sudan and the rebels. The news follows Sudan’s call for a blockade of South Sudan's oil from going through the former’s pipelines to export terminals to take effect within 60 days. The flow of oil only resumed in April. Both Sudan and the South are reliant on oil revenue, which accounted for 98% of South Sudan's budget. However, the two countries cannot agree how to divide the oil wealth of the former united state. Some 75% of the oil lies in the South, but all the pipelines…well run north. As the geopolitical analysts get plenty of food for thought, BP’s latest Statistical Review of World Energy noted that global energy consumption grew by 1.8% in 2012, with China and India accounting for almost 90% of that growth. Saudi Arabia remained the world’s top producer with its output at 11.5 million barrels of oil equivalent per day (boepd) followed by Russia at 10.6 million boepd. However, the US in third at 8.9 million boepd gave the “All hail shale” brigade plenty of thought. Especially, as BP noted that 2012 saw the largest single-year increase in US oil production ever in the history of the survey. Moving on to corporate news, Fitch Ratings said Repsol's voluntary offer to re-purchase €3 billion of preference shares will increase the group's leverage, partially offsetting any benefit from the proceeds of its recent LNG assets divestment (revealed in March). This reduces the potential for an upgrade or Positive Outlook on the group's 'BBB-' rating in the near term, the agency added. Repsol's board voted in May to repurchase the preference shares partly with cash and partly with new debt. Finally, Tullow Oil has won its legal battle, dating back to 2010, over tax payable on the sale of oilfields in Uganda. On Friday, the company said a UK court had ruled in favour of its indemnity claim for $313 million in its entirety (when the Uganda’s government demanded over $400 million in capital gains tax after Heritage Oil sold assets in the country to Tullow in a $1.45 billion deal). Heritage said it would now evaluate its legal options and could launch an appeal. When the original deal between Heritage and Tullow was concluded, Tullow paid the Ugandan Revenue Authority $121.5 million – a third of the original $405 million tax demand – and put the remaining $283.5 million into an escrow account. That’s all for the moment folks! 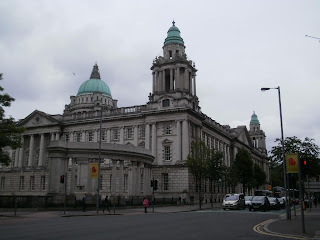 The Oilholic has arrived in Belfast ahead of 2013 G8 Summit in Northern Ireland under the UK’s presidency, where Syria, despite the meeting being an economic forum, is bound to creep up on the World leaders’ agenda. As will energy-related matters. So keep reading, keep it ‘crude’! © Gaurav Sharma 2013. Photo: Veneco Oil Platform, California, USA © Rich Reid / National Geographic. The OPEC ministers have packed-up and left with no real surprises as the cartel maintained its daily output at 30 million barrels per day (bpd). But in the absence of any real surprises from OPEC, the downward bias in the direction of leading oil futures benchmarks is getting stronger, given the perceived oversupply and a flat, if not dicey, macroeconomic climate. The Brent forward month futures contract plummeted to nearly US$100, seeing a near 2.5% dip from last week (click on graph to enlarge). Given that the trading community had already factored in the outcome of the 163rd OPEC meeting even before it concluded, most appear to be waiting to see whether the US Federal Reserve continues with its monetary stimulus programme. Even if it does so, given the macroeconomic permutations, it is not worth holding your breath for a ‘crude’ bounceback. Production commencement at Majnoon (which is imminent) and Gharraf (due in July), followed by a third facility at West Qurna-2 (due by December if not earlier) would lift Iraqi capacity by 400,000 bpd according to al-Luaibi. The country’s current output is about 3.125 million bpd. The additional capacity would bolster its second position, behind Saudi Arabia, in the OPEC output league table. The Iraqis have a monetary incentive to produce more of the crude stuff. Sadly for OPEC, it will come at a time the cartel does not need it. Instead of adherence, there will be further flouting of the recently agreed upon quota by some members. Iraq is not yet even included in the quota (and may not be until late into 2014). Non-OPEC supply is seeing the ranks of the usual suspects Russia and Norway, joined ever more meaningfully by Brazil, Kazakhstan, Canada and not to mention (and how can you not mention) – the US, courtesy of its shale supplies and more efficient extraction techniques at Texan conventional plays. So a downward bias will prevail – for now. In fact, Morgan Stanley did not even wait for the OPEC meeting to end before downgrading oil services firms, mostly European ones, based on the conjecture that IOCs as well as NOCs (several of whom hail from OPEC jurisdictions) would allocate relatively lower capex towards E&P. Of the five it downgraded on Thursday – viz. Vallourec, SBM Offshore, CGG Veritas, TGS-NOPEC and Subsea 7 – only the latter avoided a dip in share price following the news. However, Morgan Stanley upgraded John Wood Group, saying it is better positioned to withstand a lower growth outlook for industry spending. As for the price of the crude stuff itself, many analysts didn’t wait for OPEC either with Commerzbank, Société Générale and Bank of America Merrill Lynch (BoAML) all sounding bearish on Brent. BoAML cut its Brent crude price forecasts to $103 per barrel from $111 for the second half of 2013, citing lower global oil demand, rising supplies and higher inventories. The bank expects the general weakness to persist next year and reduced its 2014 average Brent price outlook from $112 to $105 per barrel. So there you have it and that’s all from Vienna folks! Since it’s time to say Auf Wiedersehen, the Oilholic leaves you with a view of the city’s Irrgarten and Labyrinth at the Schönbrunn Palace grounds (see right). 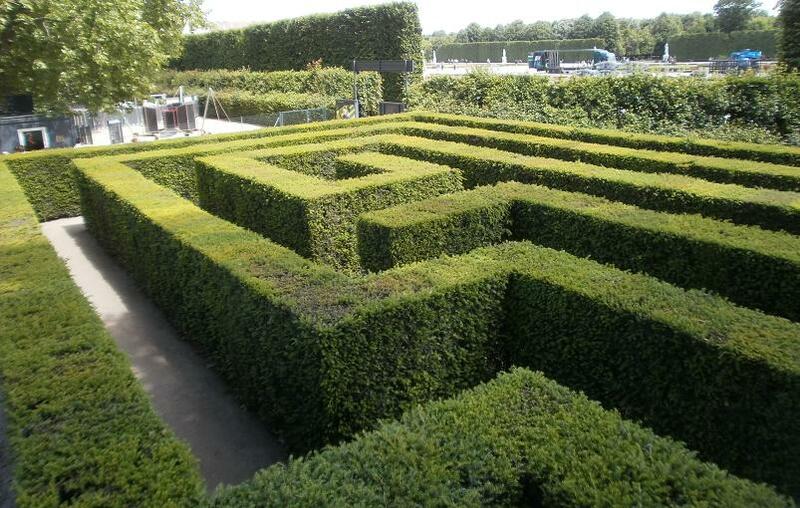 Once intended for the amusement of Austro-Hungarian royalty and their guests, this amazing maze is now for the public’s amusement. While visitors to this wonderful place are getting lost in a maze for fun, OPEC ministers going round in circles over a key appointment to the post of Secretary General is hardly entertaining. At such a challenging time for it, the 12-member oil exporters’ club could do with a bit of unity. Yet it cannot even unite behind a single candidate for the post – something which has been dragging on for a year – as rivals Iran and Saudi Arabia continue to hold out for their chosen candidate for the post. Furthermore, it’s taken an ugly sectarian tone along Shia and Sunni lines. Worryingly, this time around, neither the Saudis nor the Iraqis are in any mood for a compromise as the rest of the 10 members wander around in a maze feeling dazed about shale, internal rivalries, self interest and plain old fashioned market anxieties. The Oilholic maintains it’s premature to suggest that a rise in unconventional production is making OPEC irrelevant, but its members are unwittingly trying really hard to do just that! Keep reading, keep it ‘crude’! © Gaurav Sharma 2013. Graph: World crude oil futures benchmarks to May 25, 2013 © Société Générale. Photo: Irrgarten & Labyrinth, Schönbrunn Palace, Vienna, Austria © Gaurav Sharma 2013.